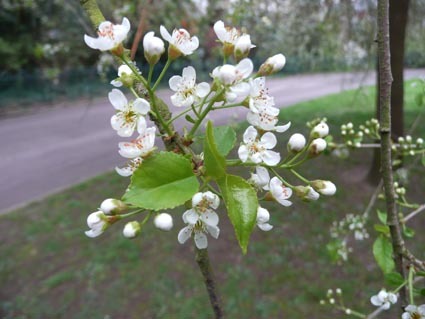 This very pretty small cherry tree is native to Central and Southern Europe, extending as far south as NW Africa and as far East as Northern Pakistan. 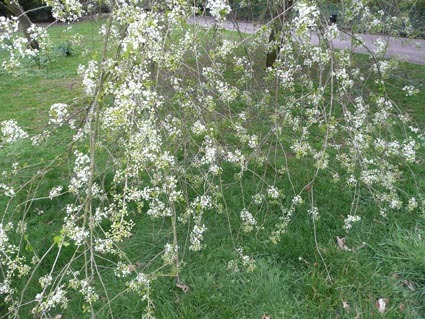 It is usually less than 10m high with an attractive spreading shape. 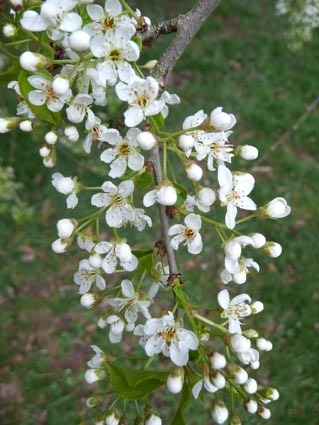 The pure white flowers are produced in clusters of 3 to 10 and are strongly scented. 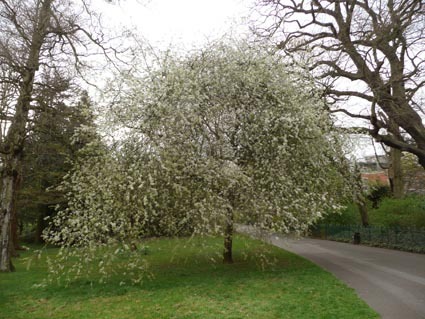 There are two specimens in Belfast Botanic Gardens close to the main path from the Botanic Avenue gate to the Botanic Primary School gate. The small black cherries are a favorate of blackbirds.